As a landlord, one of your top priorities is maximising the profitability of your rental properties. Over the years, we have seen many of our clients improve profitability by implementing certain green measures. In part two of our series, we’re going to talk about specific eco-friendly measures that can directly improve the profitability of your rental portfolio. • To encourage your tenants to recycle, provide clearly marked outdoor recycling bins in an accessible location. You may also want to consider including an attractive dual rubbish bin for the tenants to use within their home. 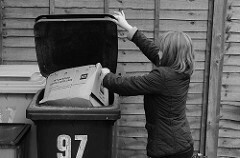 When recycling is easy and convenient, tenants are more likely to comply. Of course the CCC provides a recycling bin as part of the council rates, however other council are still to implement this. • Create a composting area for food and garden rubbish and make sure tenants know how to use it. This can significantly cut down on rubbish output and provides a source of rich compost material for landscaping. Some eco-friendly changes can actually reduce the wear and tear on heating and ventilation systems, thus reducing your maintenance and repair costs over time. For example, efficient insulation allows for better temperature regulation. When a property is able to maintain a comfortable temperature, tenants won’t need to run central heating as frequently, resulting is less wear and tear on the system. Not only will your expensive HVAC system last longer, but you can feel good about doing your part to reduce our carbon footprint and lowering your tenants’ gas or electric bills. As we mentioned in the first part of our series, many people are attracted to eco-friendly rental properties because they know these properties will help them save money and benefit the environment. As a landlord, you know that the best way to increase profitability is to ensure that your property is occupied as close to 100% of the time as possible. Consider making your home eco-friendly and marketing it as such to keep your occupancy rates high. “Green leases” are becoming popular among residential and commercial tenants in other countries. 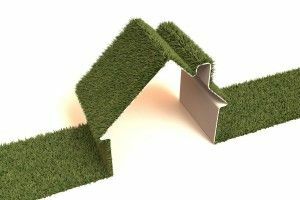 A green lease is an arrangement between the landlord and tenant that establishes how a rental property will be used to ensure the least amount of impact to the environment. Green leases are attractive to landlords and tenants alike because they equate to savings for both parties – and the hope of preserving the environment for future generations. We expect this concept will soon take hold in the Christchurch rental market as more and more people recognise the value of an eco-friendly rental.